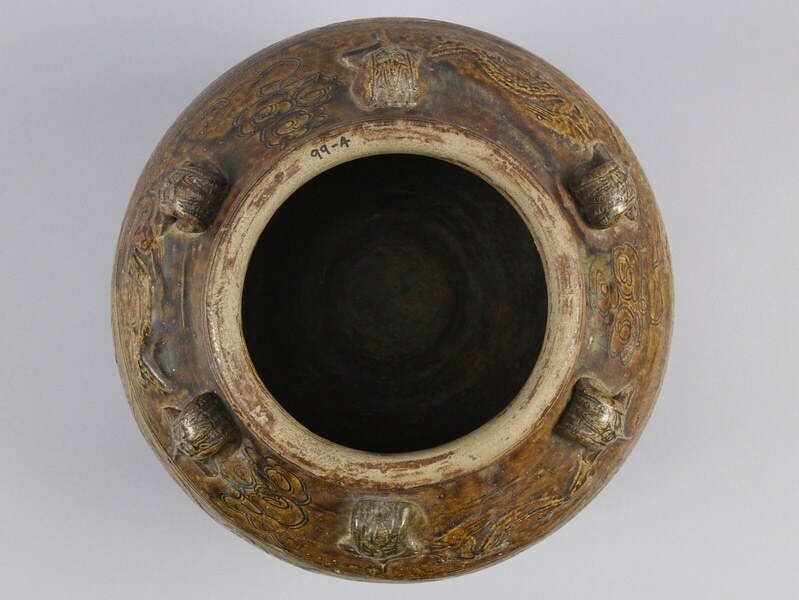 A heavily potted globular jar with wide mouth and six vertical lugs on the shoulder. The lugs are of the dao die mask design. Alternating between the lugs are moulded horizontal dragons and incised flowers. 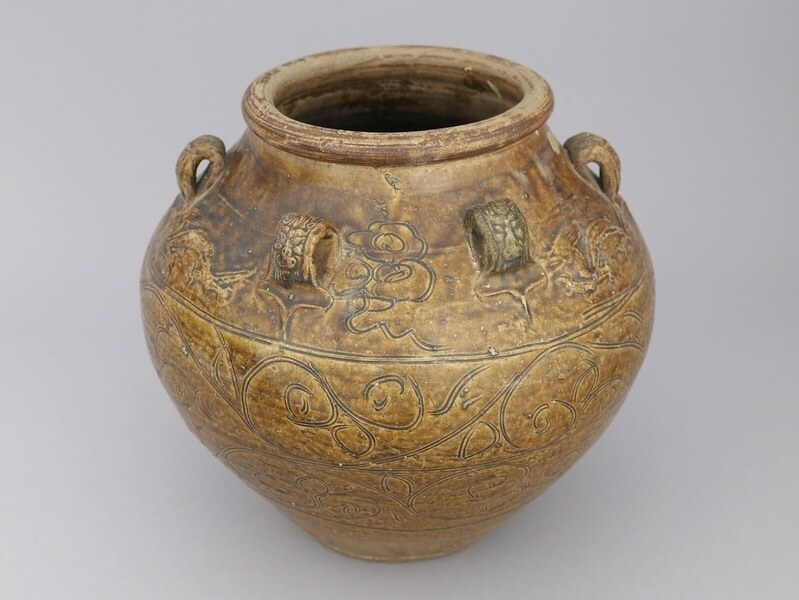 The main body motif are two bands of sinuous and stylized floral design. The interior, base and underside are unglazed. A set of inked numbers on lip. An heirloom piece, defined by Dr. Tecson as one never in the ground, hence different from an excavated piece, and not necessarily from his family. 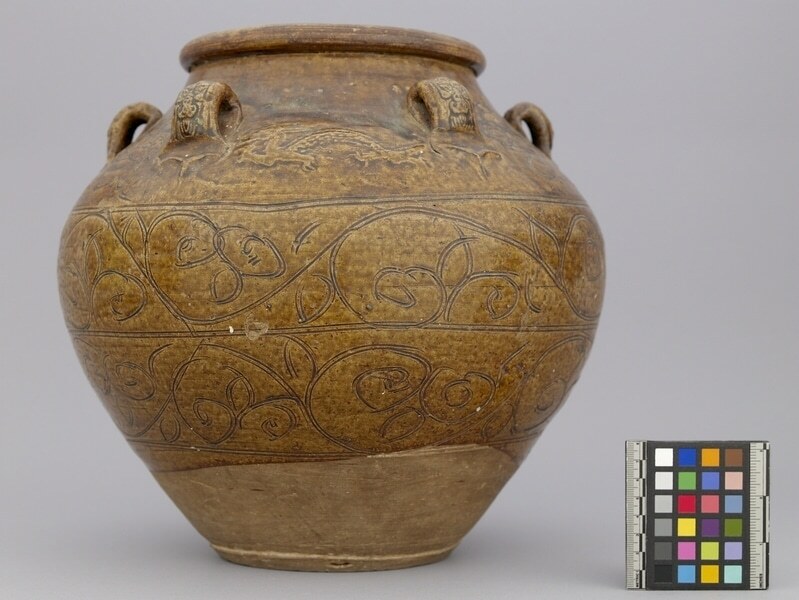 This piece is from the town of San Miguel, Zamboanga del Sur, Mindanao Island, Philippines.